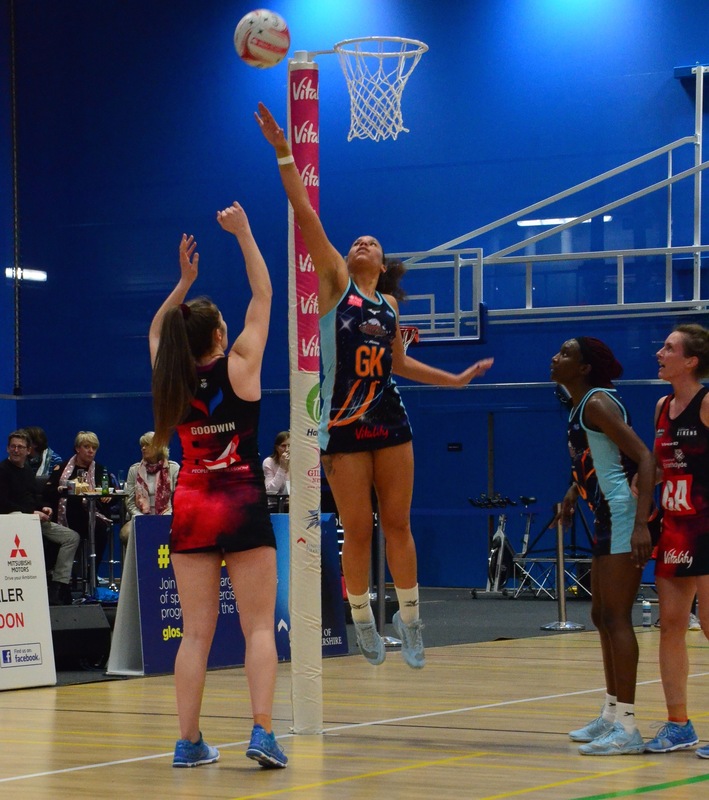 Severn Stars’ Head Coach, Sam Bird, praised her side as they secured their first back-to-back wins of the season last night (April 6), defeating Strathclyde Sirens 49-40 at the University of Gloucestershire Sports Arena. Stars had maintained a narrow lead from the early part of the match, but in the last quarter were able to pull away decisively when they needed to in order to secure the win. Stars, who were initially hasty in their attack, struggled to push through the court, which allowed Sirens to secure the first goal of the game. During the first quarter there were lots of defensive contacts from both sides, with Sirens putting on early pressure. However, after some incredibly quick centre passes and long feeds from centre Lucy Harris, Stars managed to secure the first quarter leading by two, at 13-11. The team managed to maintain their early lead after a successful attack finished by goal shooter Georgia Rowe, but Sirens persisted and Stars found it difficult to penetrate the attacking third, which kept the score close throughout. Sam Cook and Ella Powell-Davies maintained a strong defence, forcing Sirens to play the ball around much more, which saw Stars maintain their narrow lead going into the half-time interval, 26-25. After a close first half, Stars’ new signing, Leah Kennedy, made her debut at goal keeper. Bird made further changes, moving Cook to goal defence and Jodi-Ann Ward to wing defence. Although the team maintained an active defence, with Cook securing six turnovers, Sirens did not let go. There were three minutes of no goals with turnovers at both ends, as Stars struggled to get the ball to Rowe. The last 30 seconds of the third quarter were frantic, as both teams tried to force the long ball into their shooters, both unsuccessfully, leaving the score at 36-34. 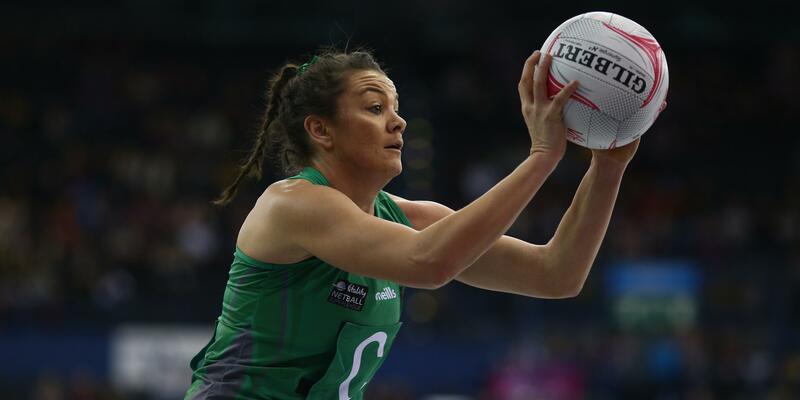 There were no changes heading into the final quarter for Stars, who successfully secured a run of four, but Sirens disrupted their flow by swapping out their centre and wing defence and called for a new ball. After some great feeds by Harris and Rowe alongside a strong defence by Cook, who secured three clean rebounds in succession, Stars pulled ahead and secured their 49-40 victory. 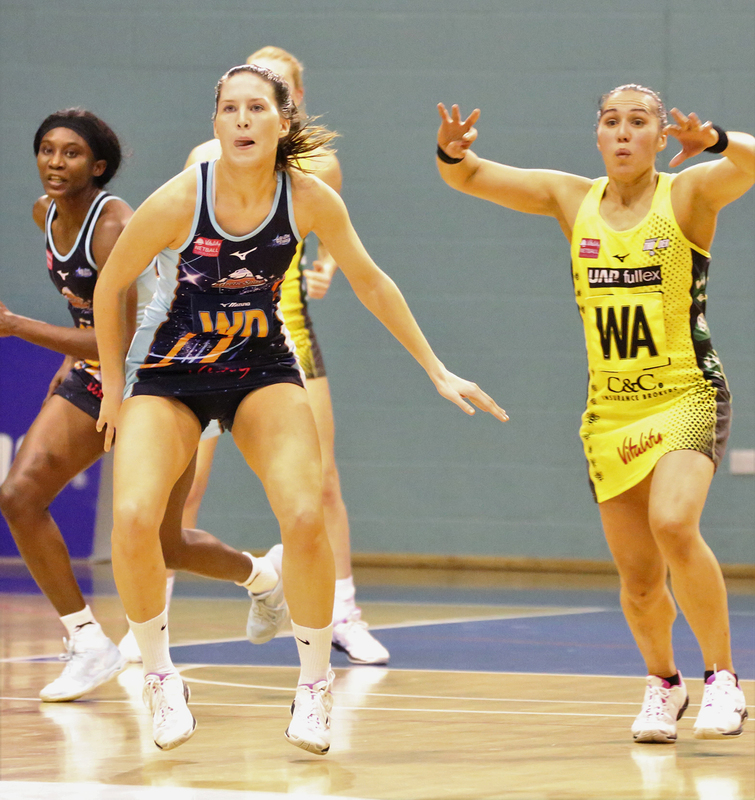 Severn Stars will face top of the League Manchester Thunder on Saturday (April 13) away. Their next home game is against third placed Team Bath on Saturday April 20, at the University of Gloucestershire Sports Arena.